Upper Lip Hair Removal Options. Hair has always been considered an asset, especially for men, a moustache is a matter of great pride. For women, a good head of hair is considered greatly attractive. But when hair manifests itself in the wrong places, it can be a cause of worry and concern for women. Though a quick, painless and easy way to get rid of the unwanted hair from the upper lip area; the hair that grow back are usually darker in shade and also makes the area a few shades dark. It is often observed that the hair growth tends to speed up also when using this method and you would be required to repeat the process more frequently. A trimmer or a battery powered blade is a painless method to get rid of the hair but be careful as its regular usage can lead to excessive and frequent growth of hair. This is one of the most commonly used methods as of all the other methods restored to, it gives the best result. Though all the pulling and removal of hair can lead to slight pain, but it is one of the most convenient and lasting methods of all. Because the hair is pulled from the root, they do not grow back quickly. But do remember to apply a moisturising lotion post the session to avoid moving around with an inflamed or red upper lip. Hair has always been considered an asset, especially for men, a moustache is a matter of great pride. For women, a good head of hair is considered greatly attractive. But when hair manifests itself in the wrong places, it can be a cause of worry and concern for women. One such place is the presence of hair on the upper lip. This can be a fairly embarrassing issue for women, from the perspective of physical appearance and self-confidence as it drains out the self–esteem and dulls their feminine features. 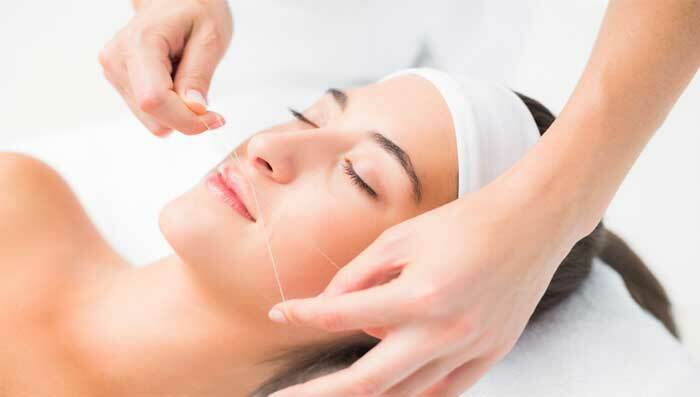 In the majority of cases, this is nothing more than just a cosmetic problem for which women frequent the beauty parlour on a regular basis, empty their pockets on laser hair removal solutions or reach for hair removing cosmetics. All these solutions however, are merely temporary and harmful to the skin on the face which is quite sensitive thereby leading to breakouts. This further leads to splurging on expensive products to get that flawless skin by which time the dreaded upper lip hair returns and the vicious cycle continues. To avoid pulling or removing hair using different methods, many women restore to bleaching. Bleaching not only reduces the headache of regular hair removal but also aids in lightening the hair in the area for a longer duration. Though a commonly used method, it is advised to use herbal bleach to save yourself from the trouble of irritation and redness in the area. Using herbal bleach will not only prove to be an effective method to hide the unwanted growth and also add a glow to your face. It works best when done by a professional or at a salon. Of course you do not want to come back with burns or any other kind of injuries when performing yourself. It provides a clean and soft skin and the effects can easily last up to a month. Whether you go to a speciality clinic or decide to use a laser enabled epilator, a laser therapy can grant an effective semi-permanent solution to the problem. But one has to use it regularly for a period of over 6 months to be able to zap hair growth at different growth levels and see the desired results. The thing about laser therapy is that though it works best on light to medium skin tone but does not prove to be very effective on dark to very dark skin tone.